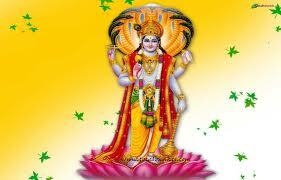 Today 24 November 2012 is Celebrate Prabodhani Ekadashi.This Day is known as a Dev Uthi Ekadashi and Uttahana Ekadashi. Prabhodhini Ekadashi, also known as Dev Uthani Ekadashi, Utthana Ekadashi, Bodhini Ekadashi and Dev Utthana Ekadashi, is observed in the month of Kartik in the traditional Hindu lunar calendar. 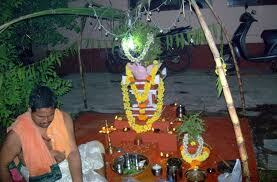 The vrat is observed on the 11th day during the waxing phase of the moon, or Shukla Paksha. The Hindu devotees believe that Lord Vishnu woke up from his Yoga Nidra (cosmic sleep) on this day, thereby marking the end of the Chaturmaas vrat. Prabhodhini Ekadashi corresponds in the month of October or November as per the Gregorian calendar. 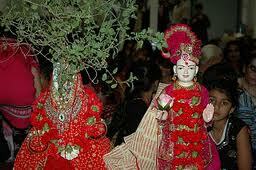 The Pandarpur Yatra is performed in Lord Vithal Temple in Pandarpur on this day. 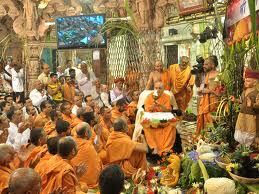 People also observe a vrat in order to be relieved from the various sins and evil actions committed. Glance through the following lines to know more about the story of Prabhodhini Ekadashi and the process of observing it.Ekadasi is an important fast dedicated to Lord Vishnu. 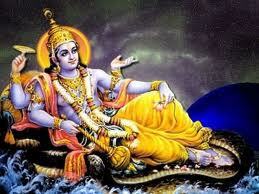 Legends state that the consort of Lord Vishnu, Goddess Lakshmi was unsatisfied with the way Lord Vishnu slept. Sometimes, he remained awakened for days and sometimes, he slept continuously for several days. Hence, Goddess Lakshmi visited Lord Vishnu and complained about his indiscipline followed. 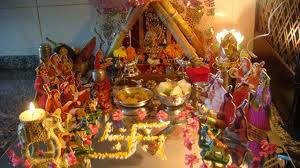 She also informed him that several lords, such as Lord Shiva, Lord Brahma, Devas and Saints, are forced to wait for many days in order to meet him. Hence, they returned disappointed without having Lord Vishnu’s Darshan. 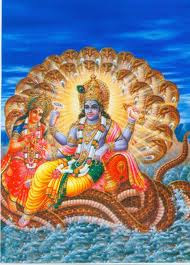 Furthermore, this neutral situation of Lord Vishnu is highly taken advantage of by the demons. They make the most of this opportunity in causing pain to human beings, thereby leading to the spread of Adharma on earth. After patiently listening to Goddess Lakshmi, Lord Vishnu replied that he would soon come up with a solution. Meanwhile, the Devas and Saints visit Lord Vishnu and inform him about the robbery of the Vedas by a Demon named Shankhyayan. The demon had committed this act in order to deprive the human beings about the knowledge of the Vedas and spread Adharma all around. On hearing this, Lord Vishnu promised the sages that he would get back the Vedas. After fighting for several days with Demon Shankhyayan, he was successful in getting the Vedas back. 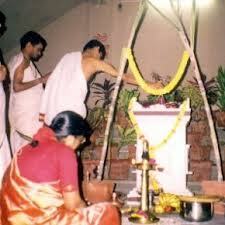 He returned the Vedas to Goddess Lakshmi, Devas and Saints. Additionally, he insisted on continuing with a long sleep but only for four months. This sleep started from Ashadha Shuddha Ekadashi until Kartik Shuddha Ekadashi, which is also known as Prabhodhini Ekadashi or Dev Uthani Ekadashi. 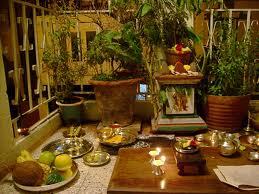 Various pujas and prayers are carried on this day dedicated to Lord Vishnu. 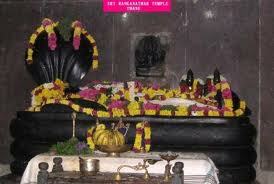 The important Pandarpur Yatra also takes place on this day in Lord Vithal Temple. The most popular Tulsi Vivah Festival and Shaligram Puja rituals also commence on Prabhodhini Ekadashi in some regions while in other communities, they take place on the day after Ekadashi. By observing the Prabhodhini Ekadashi vrat, devotees believe that they would be able to get rid off their sins and attain salvation, or Moksha. At some places, devotees observe a complete fast, that is, they do not eat anything or even drink water on this day. Lord Brahma said to Narada Muni, "Dear son, O best of the sages, I shall narrate to you the glories of Haribodhini Ekadasi, which eradicates all kinds of sins and bestows great merit, and ultimately liberation, upon the wise persons who surrender unto the Supreme Lord. "O best of the brahmanas, the merits acquired by bathing in the Ganges remain significant only as long as Haribodhini Ekadasi does not come. This Ekadasi, which occurs during the light fortnight of the month of Kartika, is much more purifying than a bath in the ocean, at a place of pilgrimage, or in a lake. This sacred Ekadasi is more powerful in nullifying sin than one thousand Asvamedha sacrifices and one hundred Rajasuya sacrifices." Narada Muni inquired, "O father, please describe the relative merits of fasting completely on Ekadasi, eating supper (without grains or beans), or eating once at midday (without grains or beans)." Lord Brahma replied, "If a person eats once at midday on Ekadasi, the sins of his previous birth are erased, if he eats supper, the sins acquired during his previous two births are removed, and if he fasts completely, the sins accumulated during his pervious seven births are eradicated. "O son, whatever is only rarely achieved within the three worlds is obtained by him who strictly observes Haribodhini Ekadasi. A person whose sins equal Mount Sumeru in volume sees them all reduced to nothing if he simply fasts on Papaharini Ekadasi (another name for Haribodhini Ekadasi). The sins a person has accumulated over a thousand previous births are burned to ashes if he not only fasts but also remains awake throughout Ekadasi night, just as a mountain of cotton can be burned to ashes if one lights a small fire in it. "O Naradaji, whoever fasts on this Ekadasi will definitely not enter a womb again, and thus faithful devotees of the Supreme Godhead give up all varieties of religion and simply surrender to fasting on this Ekadasi. For that great soul who honours this Ekadasi by fasting and remaining awake throughout the night, the Supreme Lord, Sri Govinda, personally terminates the sinful reactions that soul has acquired by the actions of his mind, body, and words. "O son, for anyone who bathes in a place of pilgrimage, gives charity, chants the holy names of the Supreme Lord, undergoes austerities, and performs sacrifices for God on Haribodhini Ekadasi, the merit thus earned all becomes imperishable. A devotee who worships Lord Madhava on this day with first-class paraphernalia becomes free from the great sins of a hundred lifetimes. 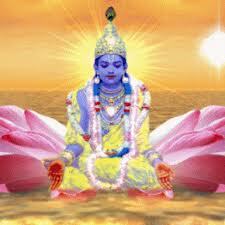 A person who observes this fast and worships Lord Vishnu properly is freed from great danger. "This Ekadasi fast pleases Lord Janardana so much that He takes the person who observes it back to His abode, and while going there the devotee illuminates then ten universal directions. Whoever desires beauty and happiness should try to honour Haribodhini Ekadasi, especially if it falls on Dvadasi. The sins of one's past hundred births - the sins committed during childhood, youth and old age in al those lifetimes, whether those sins are dry or wet - are nullified by the Supreme Lord Govinda if one fasts on Haribodhini Ekadasi with devotion. "One who merely sees Tulasi Maharani, touches her, mediates on her, narrates her history, offers obeisances to her, prays to her for her grace, plants her, worships her, or waters her lives in the abode of Lord Hari eternally. O Narada, one who serves Tulasi-devi in these nine ways achieves happiness in the higher world for as many thousands of yugas as there are roots and subroots growing from a mature tulasi plant. When a full grown tulasi plant produces seeds, many plants grow from those seeds and spread their branches, twigs, and flowers, and these flowers also produce numerous seeds. For as many thousands of kalpas as there are seeds produced in this way, the forefathers of one who serves tulasi in these nine ways will live in the abode of Lord Hari. "O son, if a man has fasted without asking the permission of his priest, or if a woman has fasted without asking her husband's permission, he or she should donate a bull to a brahmana. Honey and yoghurt are also proper gifts for a brahmana. Someone who has fasted from ghee should donate milk, one who has fasted from grains should donate rice, one who has slept on the floor should donate a bedstead with a quilt, one who has eaten on a leaf plate should donate a pot of ghee, one who as remained silent should donate a bell, and one who has fasted from sesame should give gold in charity and feed a brahmana couple with sumptuous food. A man who wants to prevent baldness should donate a mirror to a brahmana, one who has second-hand shoes should donate shoes, and one who has fasted from salt should donate some sugar to a brahmana. During this month everyone should regularly offer a ghee lamp to Lord Vishnu or to Srimati Tulasidevi in a temple.